This workshop is for anyone with an interest in writing creatively in any way, no experience necessary! 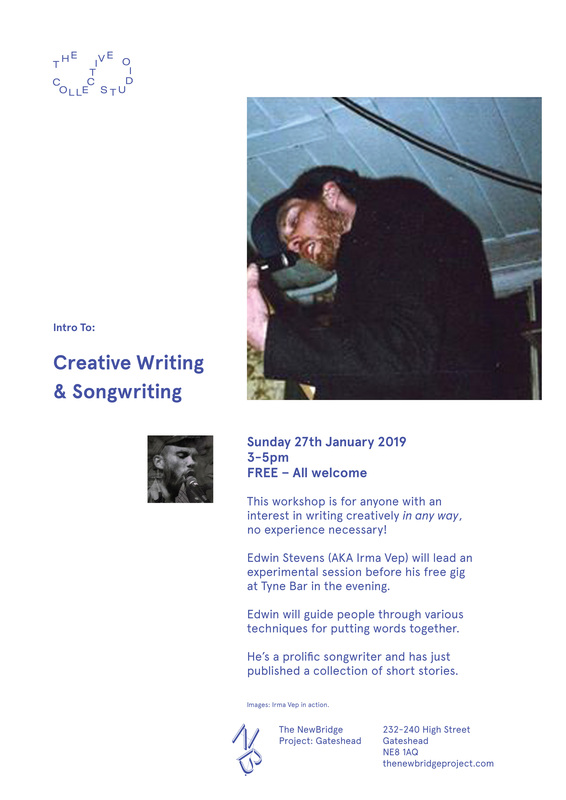 Edwin Stevens (AKA Irma Vep) will lead an experimental session before his free gig at Tyne Bar in the evening. Edwin will guide people through various techniques for putting words together. He’s a prolific songwriter and has just published a collection of short stories. Accessibility: NewBridge Gateshead has full accessibility, this event will take place in the ground floor Co-Work Space of NewBridge Gateshead.